The improved Formula "77" is highly recommended for mistcooling any metal or alloy where tougher machining condtions require greater lubricity. It is particularly useful where tool pressure is exceptionally great or where the material is very abrasive. Formula "77" provides the extra lubrication needed to protect the cutting edge of the tool. Formula "77" has been reformulated to provide the same safety for use as Formula "78" where incorporating additional lubricity ingredients for more demanding machining applications. In addition, Formula "77" provides excellent service in most general purpose flood cooling applications. One coolant-Formula "77" - will fill most of your general mist and flood coolant needs. Formula "77" eliminates double coolant inventory, cuts storage space requirements and reduces your costs. Formula "77" - like Formula "78" - will not cause dermatitis, rancidity, or buildup: and creates no rust or corrosion when diluted with clean water. Workpieces and machine parts remain clean and unstained. New formula improved after years of research, Formula "78" is a chemical base mist coolant that dissolves in water to a clear solution. 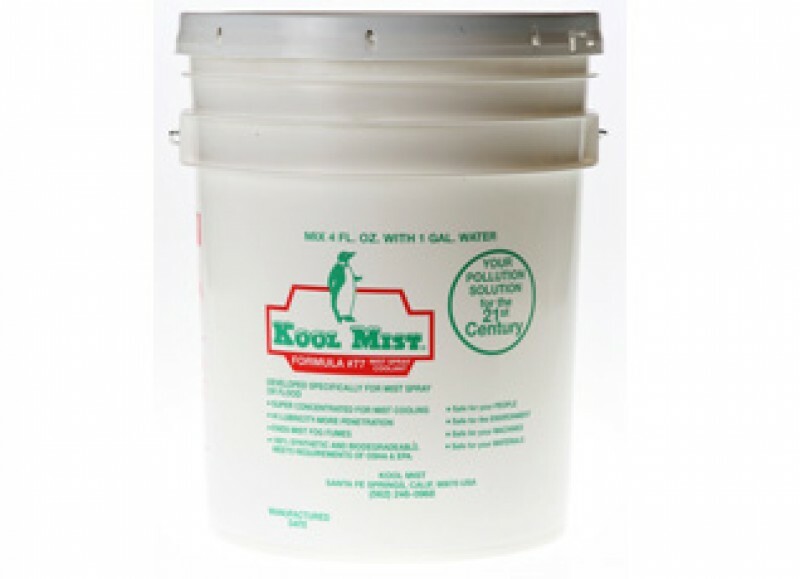 It is the most universal mist coolant available. It can be used on any metal or alloy, and displays high efficiency in the cutting of exotic metals and alloys such as Monel, Inconel, Titanium, etc., as well as all non-ferrous metals. Formula "78" meets all OSHA standards. It is free of halogens and sulfides. It is safe for operators whether in liquid or mist form. Our proprietary formula completely prevents dermatitis and rancidity, and the formulation contains no irritants. All components for Formula "78" are dissipated into the atmosphere by cutter heat except on; a chemically compounded lubricant that clings to the tool to reduce friction, the prime cause of heat.